My tweens love their Xbox but sometimes when it comes to gaming, I feel as if the media are guilty of tarring all kids with the same (negative) brush. 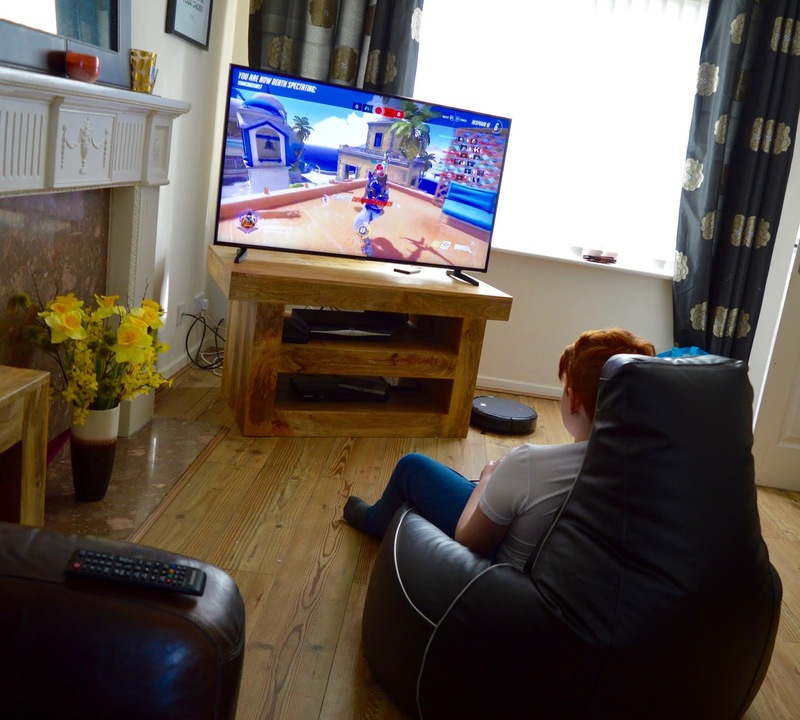 I've read countless articles over the years saying that tweens and teens are addicted to their games consoles, that they're incapable of socialising now as they're always glued to their screens and that Xbox addiction is out of control........ As someone who has first hand experience of kids and games consoles, I can guarantee that this is not always the case and I'd love to see some balance out there and credit given to tweens and teens who love to game but also know that there's more to life than Xbox. First of all, computers and games consoles aren't a new thing. As a child of the 80s, I grew up with a Spectrum then a PC and finally a PlayStation One. Our summers were spent playing Mortal Kombat 2, racing each other on Mario Kart and shooting monsters in Doom and guess what.....I turned out ok. As a child myself I don't remember ever having a limit on screen time and we'd go around to each others' houses and play for days. We loved it. The only difference now is that kids can play with their friends online and I think if we'd had that option when we were younger, we'd have taken it too. Instead of spending 59 minutes and 59 seconds on the phone chatting to each other (obvs we had to hang up at 60 minutes and redial - if you know, you know) every night, being able to do this over Xbox Live would have been the dream! Playing games online is actually the opposite of being unsociable and I think it's very critical of those of us in our 30s to say that kids these days play too much Xbox when we were exactly the same. Second of all, my kids have a life beyond Xbox. Kids these days have stressful and busy lives and are under more pressure than ever before. Who are we to deny them a little downtime and a chance to let off steam and do something they enjoy with their mates? H, H and J attend various after-school clubs (including NUFC business school, basketball, school choir and cycle club), they go swimming once a week and our weekends usually involve a nice long walk somewhere. They love reading too and will often choose to sit and read above everything else. It's all about balance and I know that most of my friends' kids are the same - they love playing on Xbox but they don't do this 24/7. They have other interests too and Xbox does not rule their life. Please don't believe all that you read in the media. My three self-regulate their Xbox use. We only have one Xbox between the three of them so they each have 2 nights per week to play on it. This works really well and also goes a long way to prove that they're not addicted. Each playing 2 nights out of 7 is something which works well for them and us and we're actually trying to make the whole experience more enjoyable for them. We've recently bought a new TV so are in the process of moving the Xbox and our old TV into our conservatory. We're going to turn this into a bit of a gaming den for the kids - maybe have a mini fridge and a book corner in there too. 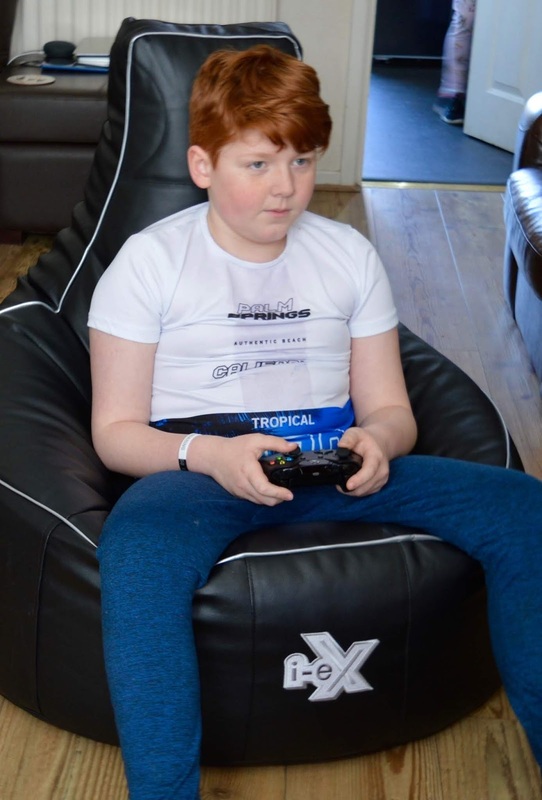 Harry has an i-eX Gaming Chair from Bean Bag Bazaar which he absolutely loves. It has a supportive high back and is super comfy. 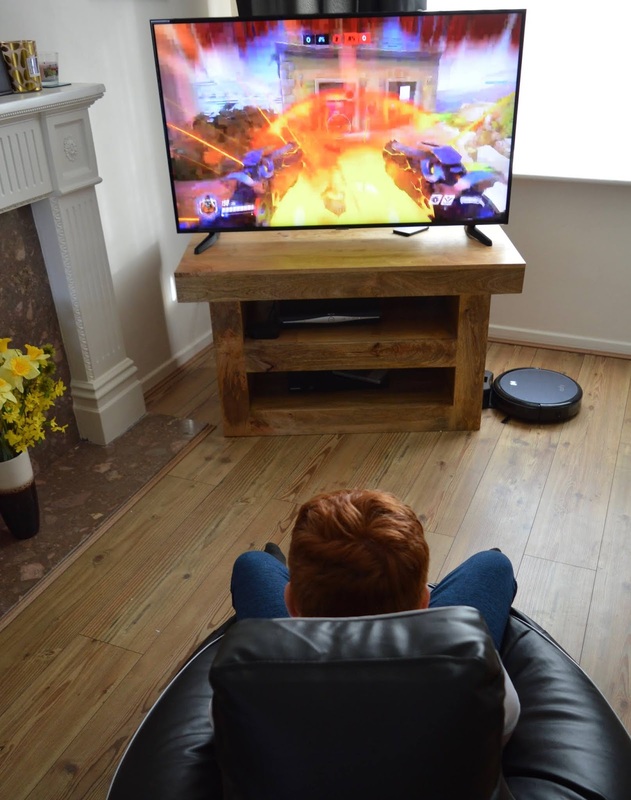 He loves it so much he sits on it to watch TV as well as gaming. Scroll to the bottom of this post for your chance to win your own too. It's going to be the perfect addition to the kids' gaming den. I don't think Xbox is something to be feared or something we should constantly talk negatively about. 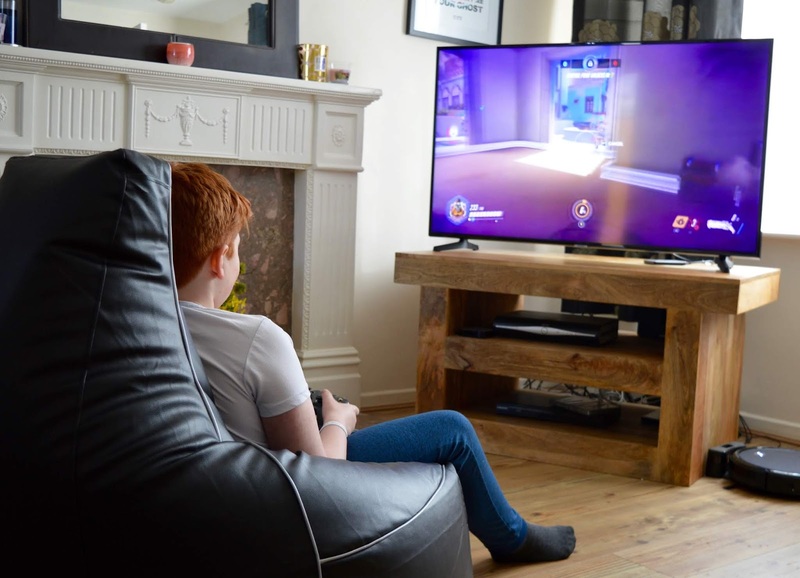 I think my children have a much better understanding of monitoring screen time and online safety than we ever did as kids - they have whole school days dedicated to the subject and are taught about balance and how to stay safe online from a very young age. Plus as Steve and I grew up gaming too, it's something we can do together as a family so a way to connect and chill out with the kids too (I say we - I mean Steve, gaming isn't something I personally enjoy too much these days if I'm honest). I'd love to remove some of the stigmas that surround gaming and tweens. 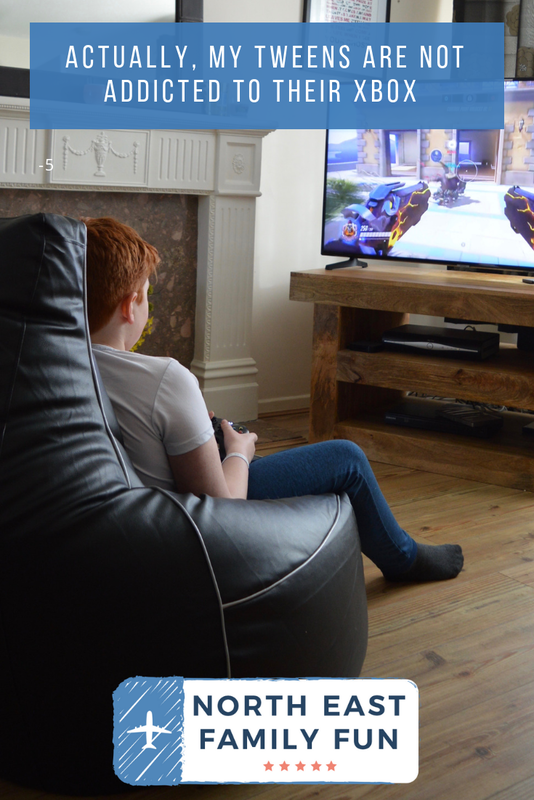 Playing Xbox can be fun, sociable, creative and actually teaches new skills too. I'm pretty sure I wouldn't have learned the trick of putting extra salt on your chips and increasing drinks prices to increase profits if it hadn't have been for the hours I spent playing Theme Park. It's the same for H, H and J - they've created some truly epic worlds on Minecraft, learned teamwork skills through playing strategy games like Death Squared and create their own islands on Fortnite where they can invite their friends to play. What do you think? 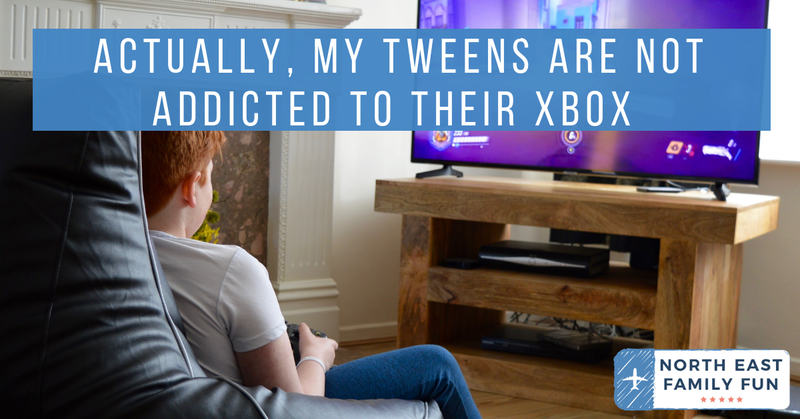 Do tweens get a hard time from the media when it comes to playing Xbox? What would you add to a tween gaming room? Let me know in the comments. 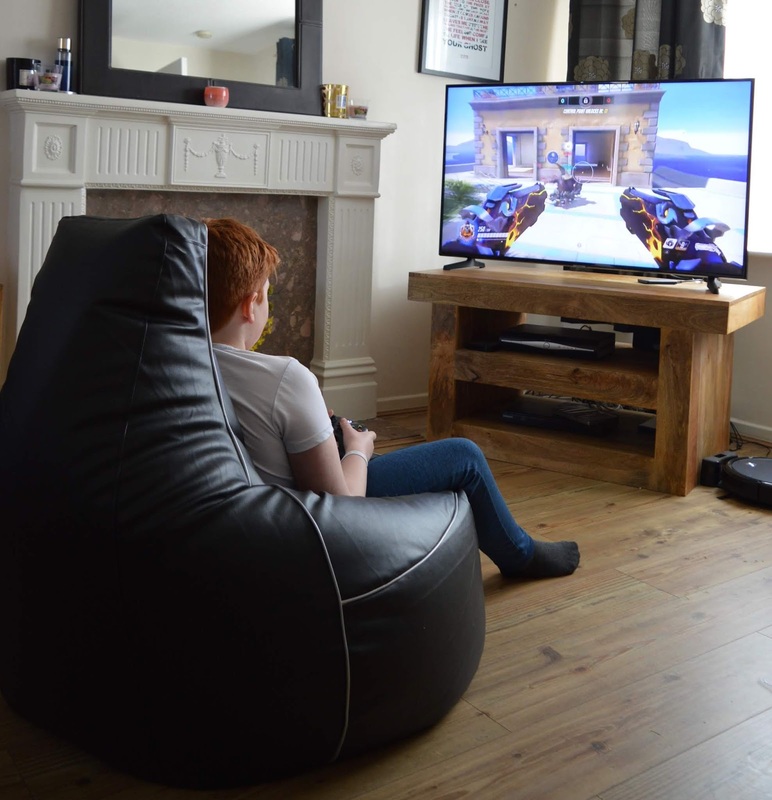 Thanks to Bean Bag Bazaar, we're giving away one i-ex Gaming Chair to one lucky reader. Enter using the rafflecopter widget below. UK mainland entries only and you must be aged over 18 to enter. Giveaway ends midnight 21 April 2019. One winner will be selected at random from all valid entries. 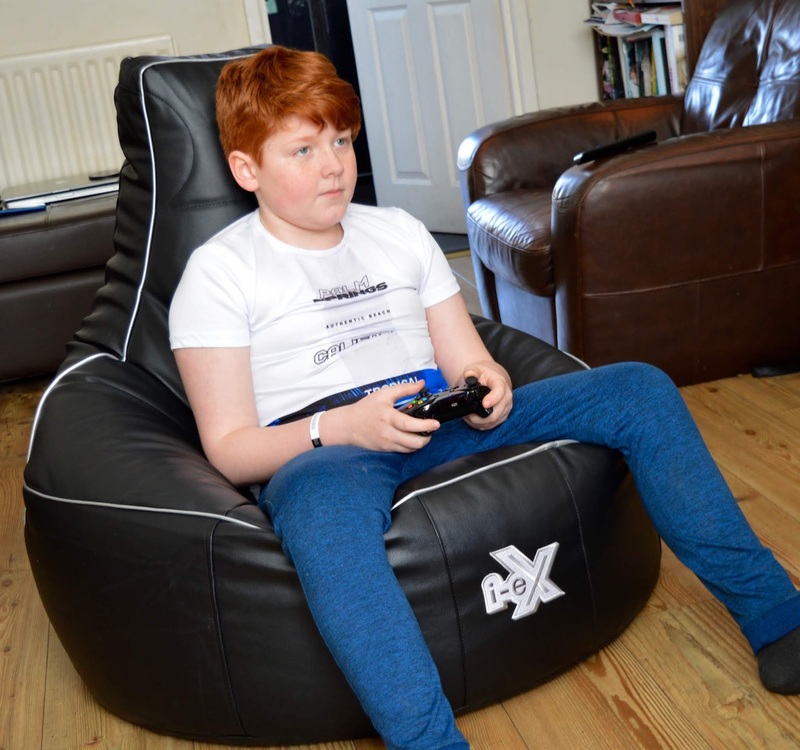 The i-ex Bean Bag gaming chair is designed for an enhanced gaming experience with maximum comfort in mind. 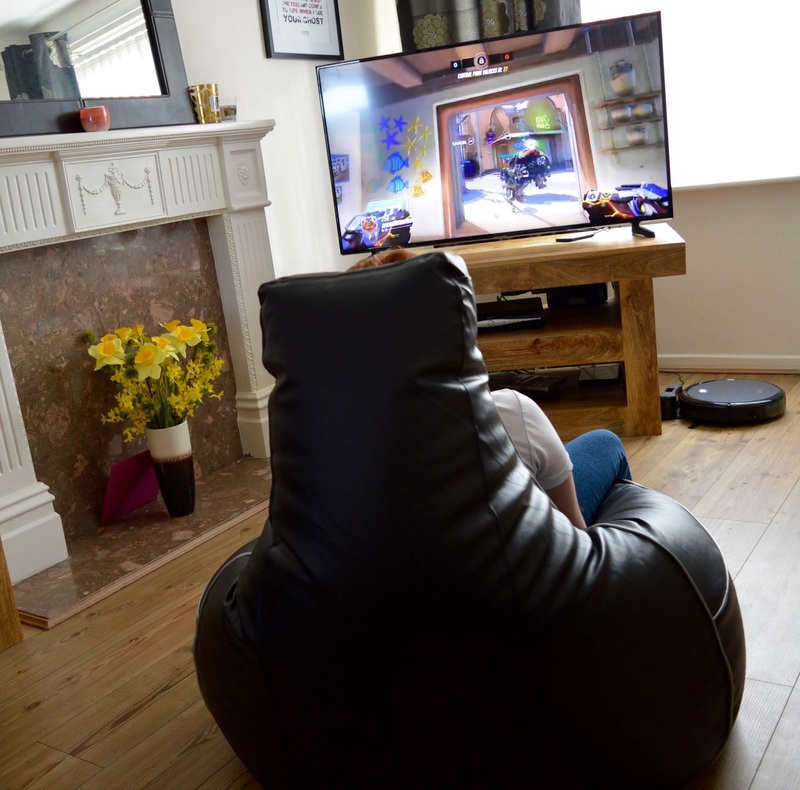 The British-designed Bean Bag is designed with a reclined high back and bucket seat for ultimate gaming positioning. The gaming chair has a foam panel for maximum support and comfort and is designed to feel like a racing car seat. Find out more about the chair here. I'll have to pass this post onto my husband, he's very very passionate about fighting against the negativity in the media about gaming. It seems to get the blame for a lot of things - lazy kids, violent crime ... as much as I roll my eyes at Simon gaming at the end of the day for a lot of people it's just down time and in all honesty it probably rots your brain far less than me watching TOWIE! Before meeting Simon I had no idea how clever the games actually are - quite often you're problem solving and getting involved in teamwork to combat missions, a lot of people who criticise it actually have no idea what they are actually criticising and have never taken the time to really sit down and watch it! Don't tell Simon I said any of these positive things, I like to play the disapproving gamer wife! A big old fashioned clock on the wall so the children know when to stop play and eat lunch or dinner. A mini fridge and coffee table. Led lights and a sign that says Make sure your homework is complete before you game! My son loves gaming too much! I would have gaming chair, a basket for bottles of water, spare batteries et C and something to store games and other accessories. An intercom so that I can buzz and talk to them whenever I like. Healthy snacks, drinks, and a little bell for when they need something! Tabletop games as well as Xbox and games. A mini fridge full of healthy drinks and snacks. A mini fridge, a clock, drinks and mood lighting.